Angel's Fury by Bryony Pearce. This sounds very good and I love that cover. It's really cool! Looking forward to getting around to this! Thanks to Egmont for this! Haven't read the first of this series but it sounds good! Thanks to Harper Collins!! 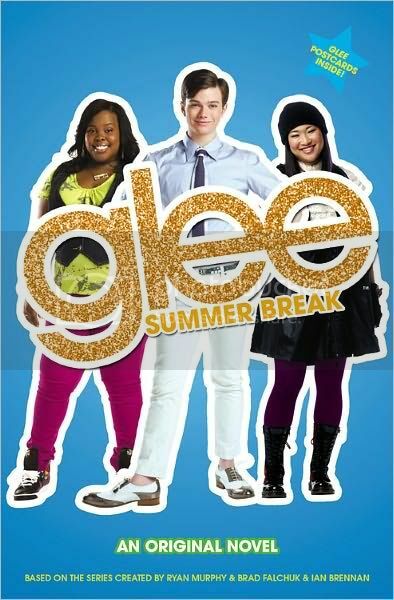 Glee: Summer Break by Sophia Lowell. I read the first Glee book and thought it was great but haven't had time to get to Number 2 yet! This is the third book. Hopefully I'll get to it soon. I only watched 2 or 3 episodes of the last season because it was just so bad. Not what it once was! Hope the quality of the books stays good though. Thanks to Headline for this! The Scorpio Races by Maggie Stiefvater. 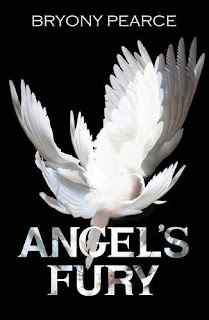 I've really enjoyed Maggie's The Wolves of Mercy Falls trilogy and am very much looking forward to reading the finale, Forever, which is out next month. But this is a standalone book by Maggie out in October. It came in a red tube which was really cool and different. Read the prologue and was completely captivated. Cannot wait to read on! Thanks to Alexandra at Scholastic for this! You rock! Reading this now actually and really really enjoying it! 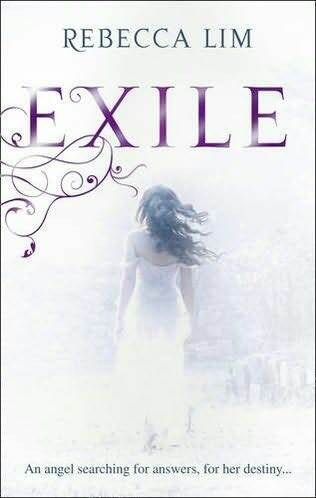 Thanks to the lovely Sarah at Penguin for sending this out to me after my first copy sent out went missing in the post! You are a star! Just watched this actually! Brilliant! Such a good adaptation of the film. One of the best book to films movies I've seen for a long long time. Some changes obviously, and as a lover of the book I am a teeny weeny bit annoyed, but still, it's all good and a very enjoyable film which no doubt I will be watching again and again in due course! And yay Scorpio Races! Glad you got a copy. I'm reading the new Glee book at the moment - it's good. Season 2 got soooo much better by the way, but I do agree it started badly and there were some TERRIBLE episodes (Grilled cheesus? Britney hallucinations? Awful!). Give it another go sometime cos there's some great episodes too, and The Warblers rock! I'm dying to read The Power of Six! The copies you have are beautiful, I love simple White covers. I really liked Mercy, you should definitely give it a go. I'm looking forward to Exile! What a great line up! The covers are Gorgeous, and so different to what we're used to seeing in the US. Enjoy, and happy reading! The dvd is out? I had no idea. I must order it. I couldn't get into the book but I still want to see the film. Enjoy! 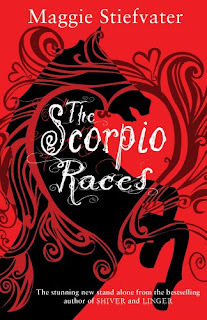 I think the synopsis for The Scorpio Races sounds awesome too - hope you enjoy it! Great set! So lucky that you got the Scorpio Races! The Scorpio Races is amazing, I hope you like it! And I love the covers you have for I Am Number Four and The Power of Six - you lucky thing! Great books this week, happy reading :).